Select the suitable "Network Storage" and press "Run Now" row. 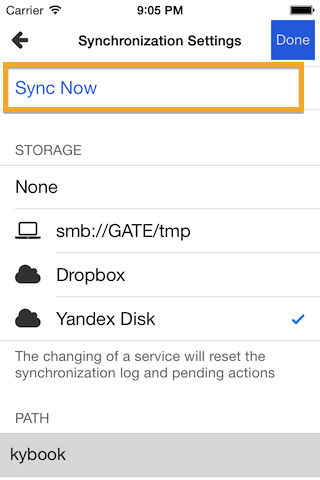 Or enable "Automatic Sync" option for automatic synchronization of your data. By default, KyBook will sync only a metadata, and will load books only if the metadata is not available. 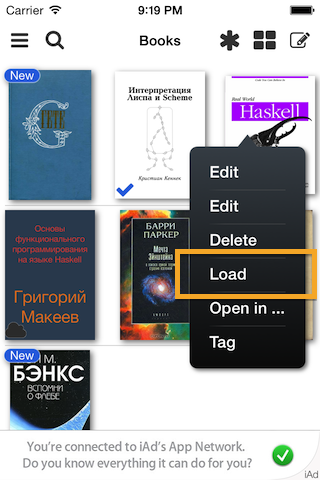 You may always load books manually via the context menu. 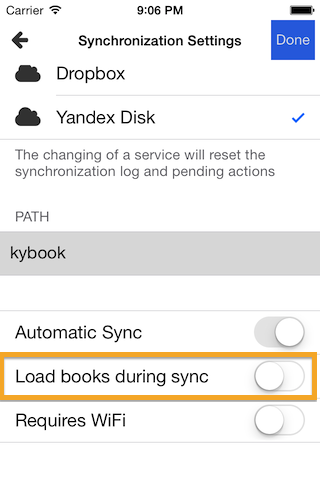 Otherwise, disable "Load books during sync" options for allowing KyBook to load books automatically during syncronization. 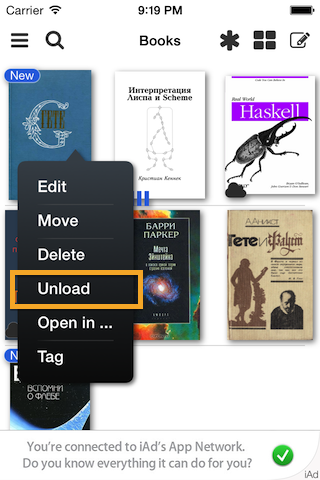 You can unload any book into the selected network storage manually. Synchronization of a current reading position between devices. 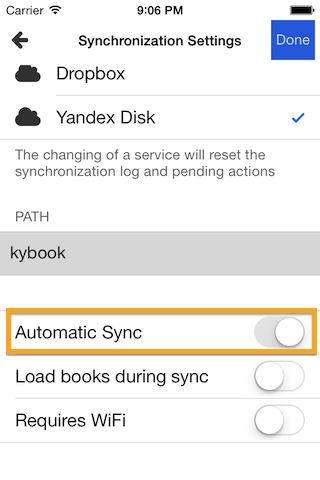 If "Automatic Sync" option is enabled, after running application, please wait a while before opening a book and give KyBook a chance for a proper data synchronization. Otherwise, you may start synchronization manually anytime you want, just by pressing "Run Now". Moving of unloaded books is not possible at this moment.